Members of the executive board of Darien’s Good Wife’s River Chapter Daughters of the American Revolution met recently at the Darien Library for their annual planning session. Plans were finalized for “Cocktails by the River” on Thursday, September 13, hosted by Carol Wilder-Tamme and Bill Tamme at their home on Red Rose Circle. Members, prospective members, spouses and significant others included. The 125th annual CTDAR Conference will be held the weekend of Oct. 11 to 13 at the Courtyard Hartford Marriott in Cromwell. GWR members are encouraged to attend. Good Wife’s River Chapter members will tour Darien’s Mather Homestead at 11 a.m., Monday, Oct. 15, with optional lunch afterwards. Winifred and Tom Lom will host the holiday party at their home on Sunday, Dec. 9, when the Darien Good Citizen will be honored and comfort items for the veterans will be collected. DAR members join with other Darien non-profits in collecting sponsorships for the Wreaths Across America wreath-laying ceremony to be held at noon on Saturday, Dec. 15, 2018 at Spring Grove Veterans Cemetery. Starting on Saturday, September 29, wreath sponsorships will be collected at Darien Doughnut and at other Darien locations. The Fifth Grade Essay Contest winners will read their award-winning writing at the Noroton Presbyterian Church Parlor on Monday, Feb. 4, 2019 with Feb. 11, as the snow date. Following the essay readings, parents, grandparents, teachers and administrators are invited to a reception hosted by the local DAR Chapter. On Thursday, May 9, 2019, Darien Historical Society Director, Margaret McIntire will be the keynote speaker when the DAR holds their annual May luncheon meeting at the Darien Historical Society. In addition to Chapter meetings, DAR members also attend Darien town ceremonies and events which include 9/11 at 8:30 a.m. at the monument behind Middlesex Middle School; the Veterans Day Ceremony at the Darien Town Hall Veterans Circle at 11 a.m. on Nov. 11, 2018; Wreaths Across America listed above; Memorial Day Parade and the Ceremony at Spring Grove Veterans Cemetery on May 27, 2019; and the Flag Day celebration at 5 p.m. on June 14, 2019 at the Darien Town Hall Veterans Circle. 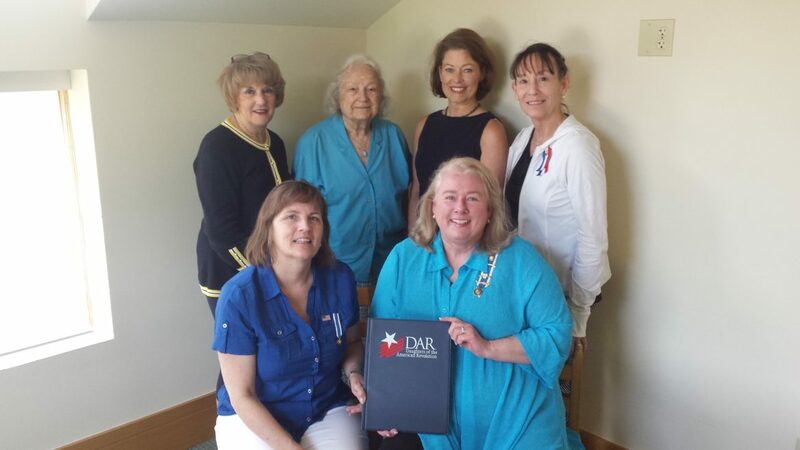 Membership in the DAR is open to any woman over the age of 18 who can trace her direct lineage to a patriot whose last act was to serve the cause of American Independence during the Revolutionary War. For applications and information contact the Regent, Katherine Love.